The Islamic State has claimed responsibility for an attack at an Iraqi soccer stadium on Friday that killed 41 people and wounded dozens more. A suicide bomber struck in the small town of Iskandariyah about 30 miles outside of Baghdad as trophies were reportedly being handed out to soccer players by local officials. Many of the victims were children, some as young as 10 years old, including the bomber who appeared to be a teenager, according to a photo distributed by ISIS. A cell phone video appearing to show the event captured images of the awards ceremony that was attended by hundreds of people before the bomb was ignited and those nearby scrambled to reach safety. The video above shows footage of an explosion that may be disturbing to some viewers. 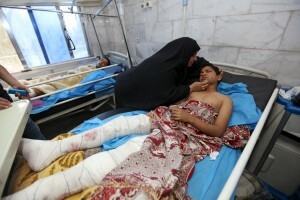 One Iraqi officials told Agence France-Presse that at least 17 of the victims were boys between the ages of 10 and 16. “The suicide bomber cut through the crowd to approach the center of the gathering and blew himself up as the mayor was presenting awards to the players,” Ali Nashmi, 18, who attended the ceremony, told AFP. The mayor and several of his security team also were reported among the dead. 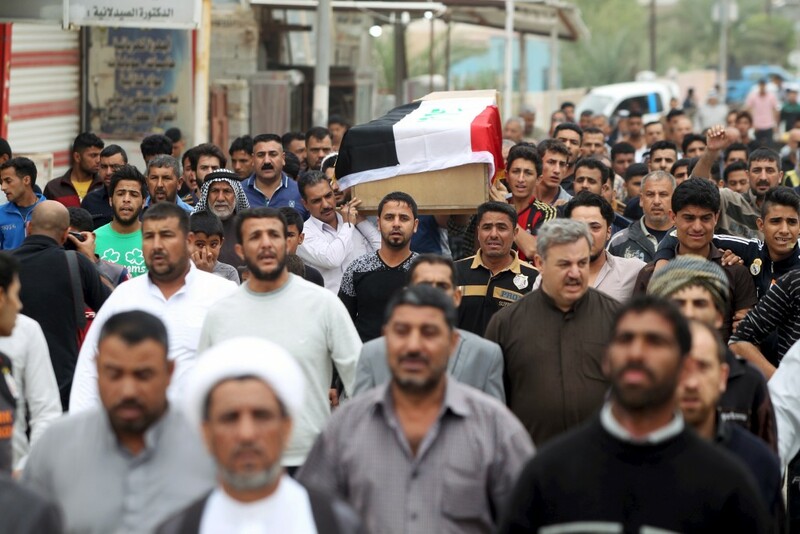 The attack comes as the United States this week announced the targeted killing of a top leader of the Islamic State and as Iraqi forces have regained territory against the militant organization, including parts of the western Iraqi province of Anbar . The United Nations Secretary-General Ban Ki-moonon on Saturday extended their condolences to the victims of the attack. Funerals were held for many of the victims on Saturday.